A supermarket-style operational model could be the key to improving failing hospitals, said the head of one of England’s highest-rated trusts. 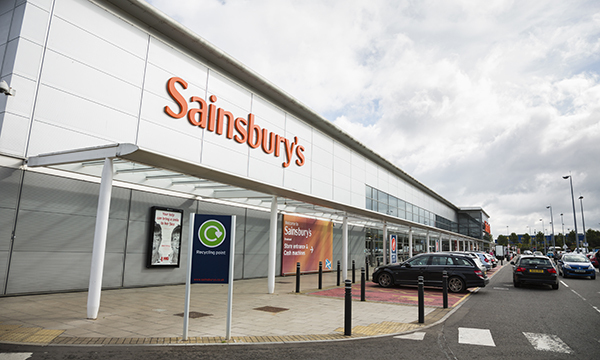 Salford Royal NHS Foundation Trust chief executive Sir David Dalton said hospitals should work in groups to implement best practice – much like supermarket chains. He said care standards vary 'dramatically' across the NHS because organisations have ‘different ways of doing things’. Writing in The Times, Sir David said: ‘We tolerate too much unwarranted variation in our health services and as a consequence the NHS spends huge sums on management consultants and expensive 'turnaround directors' in troubled hospitals. The idea of standardising care in the NHS is not a new one, with one initiative, the CapitalNurse programme, working to reduce variability of nursing training and care across London since 2015. CapitalNurse director Chris Caldwell, said: ‘One of the core objectives of the programme is to reduce unnecessary variation in training for nurses beyond registration so that all patients continue to receive the same high-quality, evidence-based, patient-centred care wherever they are across the capital. ‘A good example of this is the 'systemic anti-cancer training' passport, which is provides a single approach to training nurses to give specialist medicines to people with cancer. This approach was developed and tested in London in collaboration with the UK Oncology Nursing Society and has now been rolled out nationally. CapitalNurse was extended for a further two years in April.